It's no secret that we love Chewy.com. Living in a very rural area with very little selection for many things, including dog food, treats, toys and supplies, we shop online a lot. 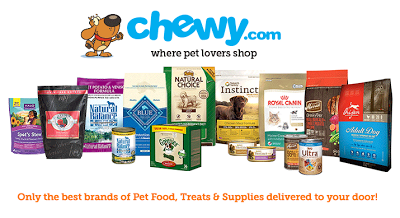 With Chewy's great selection and super fast home delivery, we do quite a bit of shopping there. At this point, when that big brown UPS truck pulls down our lane, all three dogs are excited and sure that it is bringing them another box from Chewy. 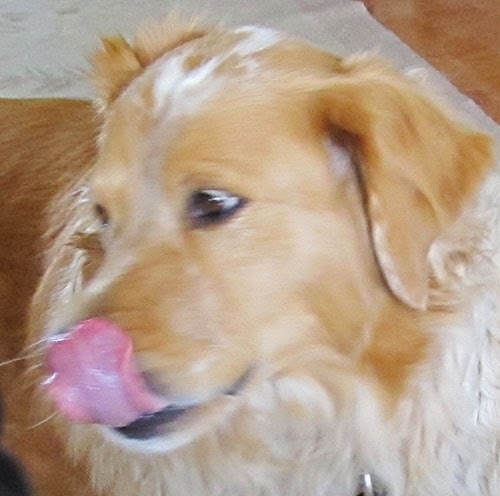 The last Chewy box contained some dog treats for Jeffie, Rudy and Rosie to taste test from Dr. Tim's Pet Foods. We received a 4 oz container of the Natural Beef Chips. As you can see, these treats vary in size from very small to about 1", so they would work for any size of dog. Plus, they are also fine as cat treats. 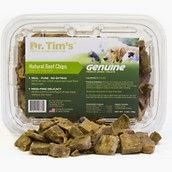 Dr. Tim's Natural Beef Chips Genuine Freeze-Dried Dog and Cat Treats are 100% real, USDA inspected beef hearts that are freeze dried. Made in Wisconsin, they contain absolutely nothing else. In addition, the beef is sourced in North America. Beef heart has a high concentration of Coenzyme Q-10 and also contains high levels of taurine and L-Carnitine. Beef Chips can be served as-is or reconstitued in cool water for 5 minutes. A 4 oz container is $11.99 at Chewy.com. Verdict: Recommended! I like that these are US sourced and made, single ingredient treats. They are freeze dried, so no preservatives needed. All three dogs love them and they're a great size as training treats. Though 4 oz sounds small, because these treats are freeze-dried, it really is a generously sized package for the money. 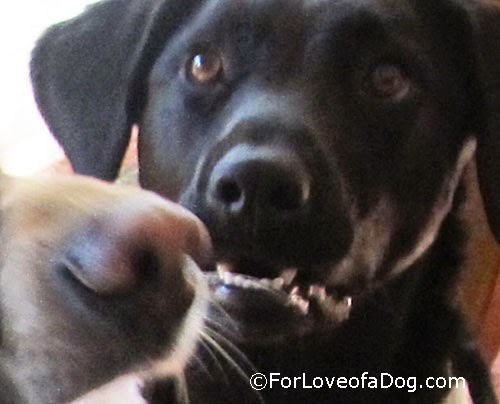 Jeffie barks for all three dogs: YUM! 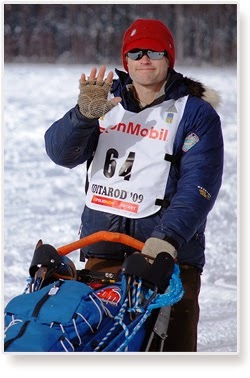 As a veterinarian and musher, Dr. Tim Hunt needed dog food that promoted stamina, endurance and performance through proper digestion. He began with a cement mixer and ideas in his garage in Michigan's Upper Peninsula. Today Dr. Tim's Pet Foods is a family owned and operated company which produces pet food and treats that are sourced only from North America. 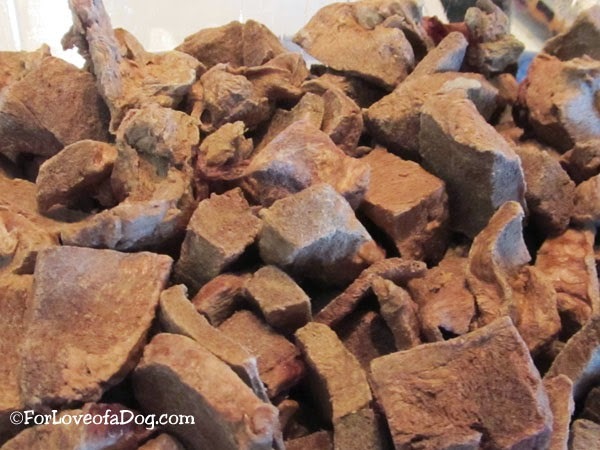 * We received one package of Dr. Tim's Freeze Dried Treats from Chewy.com in exchange for our honest review of the product and service. We received no other compensation - financial or otherwise. Excellent, these look yummy. Mom thinks they would be good for training....we think they would be good for eating! Great review, I never heard of them and whoo hoo from WI. You know I love Made in the US treats and toys!! We got these treats, but Mom hasn't let me open them yet. I don't know why we always have to wait, but now I really want to open them up! What a wonderful review!! I also think these would make excellent training treats! 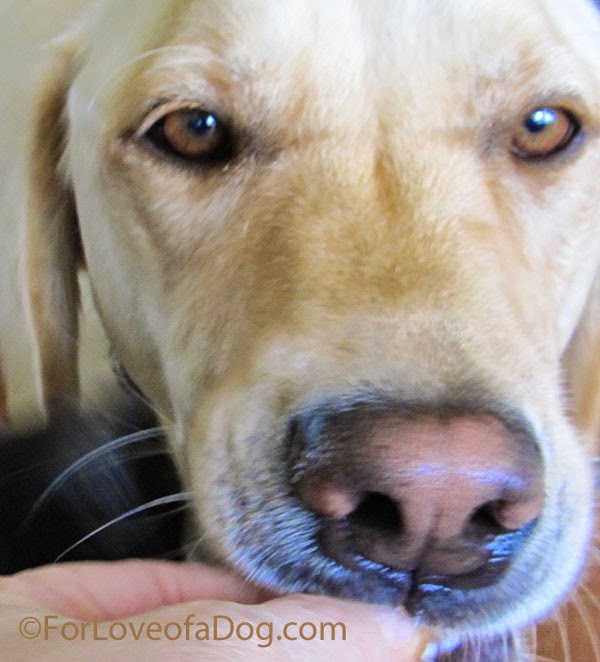 Mauja and Atka will do anything for a freeze dried treat! They're our go to training treat. We'll have to try these! Those look yummy. I have heard good things about Dr. Tims. Love the story about Dr. Tim, and the treats look delish! The look on Rosie's face cracked me up!!! We'd be lost without online shopping too. 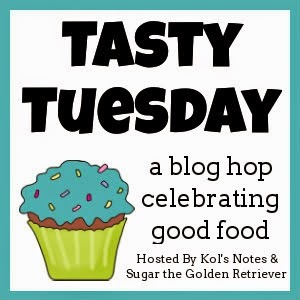 These treats sound great!